The Bleasdell BoulderRecord Owner? Log in. 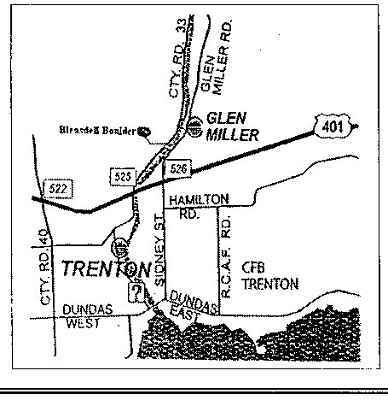 Exit 525 at Hwy 33 (Trenton)and drive 2.5 km. north. Watch for sign. Accessible year round(donations accepted at the site). The boulder is believed to be the largest glacial erratic in Ontario. It is a metamorphic rock originating from northeastern Ontario. It is 44 feet long, 24 feet wide, and 19 - 22 feet high. 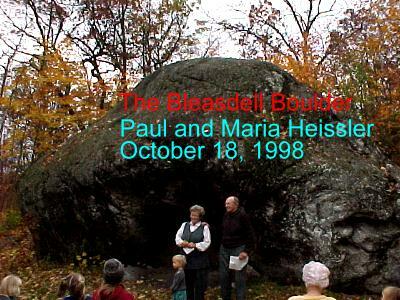 In 1997, Paul and Maria Heissler purchased the property with the intent of making the 'Boulder' accessible to the public. 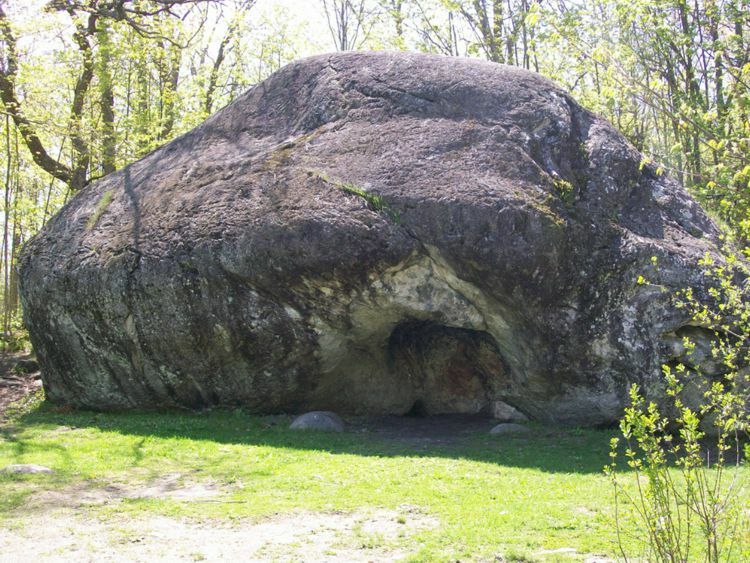 The Ontario Trillium Foundation donated $23,600 in 2003 to help the corporation preserve, promote and improve access to the Bleasdell Boulder. Funds have also enabled the organization to produce signs, booklets and educational materials. They founded the Bleasdell Boulder Preservation Corporation to ensure the preservation of the site for future generations. School programs are available on request for primary, junior and intermediate levels. Programs can be self-directed. 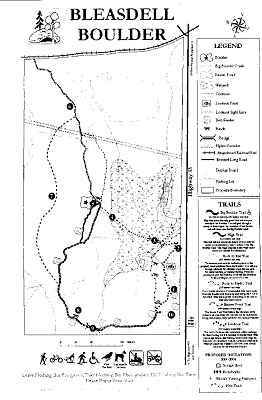 An interpretive guide is available to correspond to the numbered posts along the trails. Members of the groups worked hard to establish trails, parking areas and interpretive signage. In 2005, ownership of the property was transferred to Lower Trent Conservation. With new trail improvements, bridges and signage, Lower Trent Conservation remains committed to the Corporation's vision of providing public access to this very special place! If you or your group would like to support the work being done at the Bleasdell Boulder property, the corporation has charitable status and can issue tax deductible receipts. Have something to say about The Bleasdell Boulder?